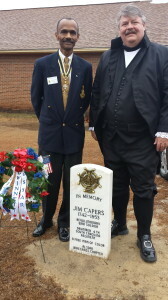 On Sunday, February 1, 2015 at 2:30 p.m at the Bethlehem Missionary Baptist Church in Orion, Pike County, Alabama, the Alabama Society, Sons of the American Revolution in conjunction with the Wiregrass Chapter SAR honored with a Memorial Marker Dedication Ceremony, Patriot Jim Capers, 1742 – 1753, Revolutionary War Soldier, A FREE MAN OF COLOR, Drumer, 4th South Carolina Regiment. “The small amount of information we have concerning the life of Jim Capers comes from his Revolutionary War pension application and widow’s pension application files following Jim’s death. The story starts in 1849, when Jim Capers appears in the Pike County Court to file his Revolutionary War pension application in order to received the benefits of a persnion law by Congress in 1832. At the time, the court noted that his age was 107 and he was a man of Color. He stated that he was born on the 23rd day of September 1742. When asked if he had any documentation of this fact, Jim responded that this was the date my old master Capers told him. When questioned as to why he had waited so long to apply, he responded that he did not know a free man of color was entitled to receive a pension. 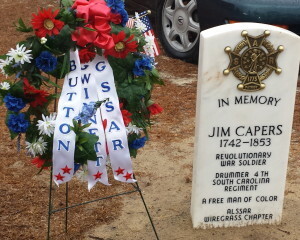 According to the pension application, Jim served better that seven years in the army as a drum major and was engaged with the enemy at Savannah, St Helena, Port Royal, Camden, Biggins Church, and was garrisoned at Charleston for some time. He was in the Battle of Eutaw Springs, often described as the bloodiest of the battles of the Revolutionary War. Capers reported he received four wounds at Eutaw Springs, including two saber cuts to his head and one to his face, and that a shot passed through his side killing the drummer behind him. 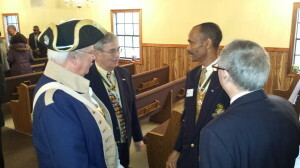 At the end of his service he was at Yorktown and witnessed the surrender of British Forces to the patriots. *As published in the Memorial Marker dedication program Alabama Society SAR- Wiregrass Chapter. The Alabama State Society Color Guard presented colors at the opening of the ceremony, and several chapters from the SAR and DAR within the state of Alabama and Southern District were present to present wreaths on behalf of their chapters. 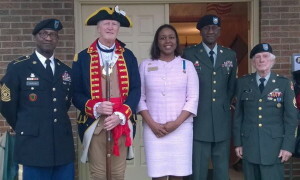 I was extremely honored to present a wreath as Past President on behalf of the Button Gwinnett Chapter, Georgia Society Sons of the American Revolution, South Atlantic District. Many from the church and surrounding community were also in attendance. 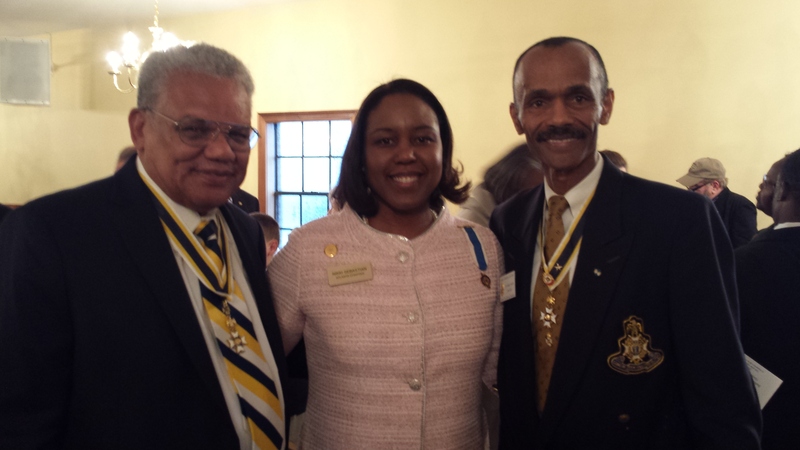 After the ceremony, a reception was held in the church fellowship hall. 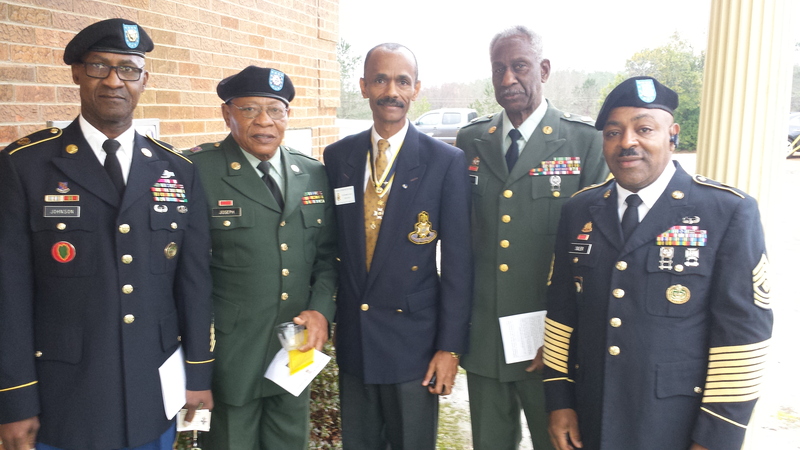 Several current and retired members of the United States Armed forces were present during the Ceremony. I was honored to have a photo taken with fellow veterans. 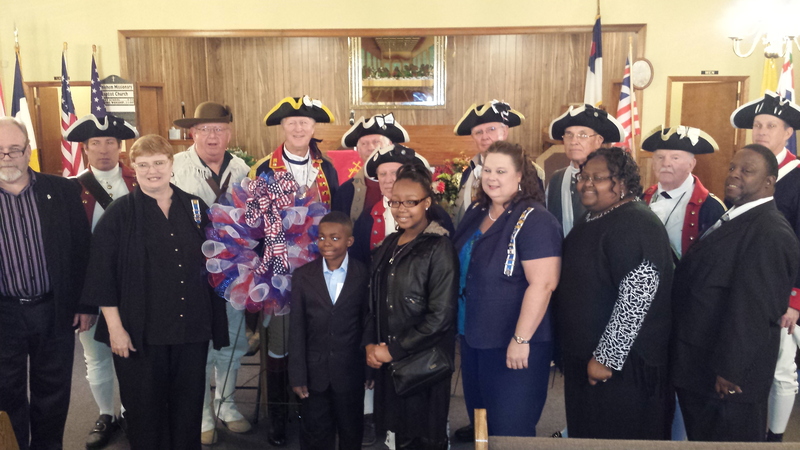 Pike Country Probate Judge presented a proclamation honoring Jim Capers, the first African American patriot of the American Revolution in the state of Alabama. 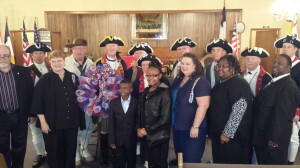 Several church and community members pose for a photo with Alabama State color guard and militia members. The young man and lady in the middle (DJ Smith and Kiki Smith) will remember this moment forever. 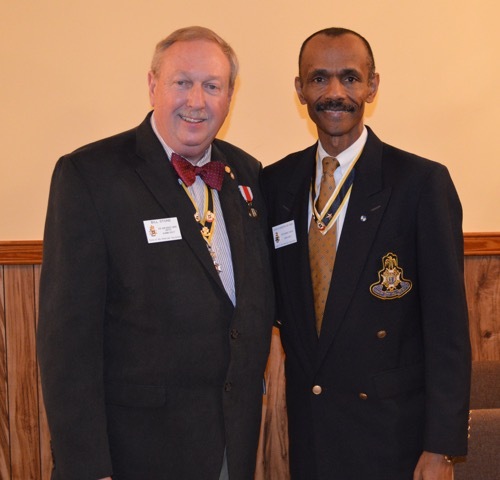 Compatriot Henderson is congratulating Compatriot John Wallace and members of the Wiregrass Chapter, Alabama Society SAR on a wonderful tribute and memorial marker dedication for Patriot Jim Capers. The Sons of the American Revolution is a lineage organization composed of gentlemen who can document a direct bloodline to one of the patriots of the American Revolution. 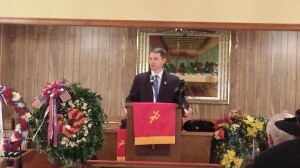 The grave dedication ceremony is part of the society’s ongoing program to honor American heroes who sacrificed their lives for the freedom of a new nation. Jim Capers is one of many veterans who moved West following the American Revolution and is among the approximate 1,000 Revolution War soldiers known to have settle in present-day Alabama. See more about Henderson’s personal journey and discovery of a Louisiana Patriot Ancestor in the American Revolution Also recipient of the 2014 National Society Sons of the American Revolution Minnesota Society Stephen Taylor Award.